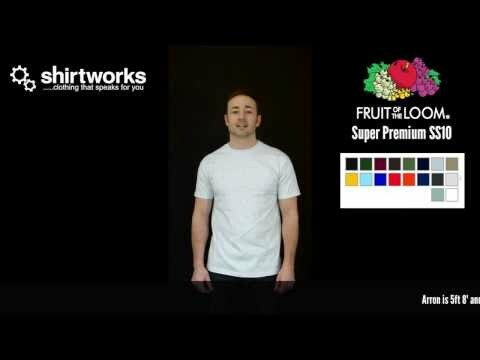 This is the heaviest and top of the range t-shirt from Fruit of the Loom. It gives great print results due to is fine knit weave of cotton. Can be washed at 60c making it a great choice for your company workwear, especially in the construction industry. Generous sizing. Cotton/Lycra collar for improved shape retention. - Good quality but one printing mistake.